Li Y, Hui G, Yu S, Luo Y, Yao X, Ye S (2017). Nearest neighbour relationships in Pinus yunnanensis var. tenuifolia forests along the Nanpan River, China. iForest 10: 746-753. Forest stand structural diversity can be examined at different scales. Small-scale structural changes are the basis of forest structural diversity and habitat heterogeneity, and play a key role in biodiversity conservation. Most research on forest structure has focused mainly at stand level and above, with little attention paid to fine-scale structure and correlations among different forest stand attributes. We set up four permanent plots within a secondary forest community of Pinus yunnanensis var. tenuifolia mixed forests along the Nanpan River in southern China. We analyzed their nearest-neighbor relationships using a bivariate distribution of stand spatial structural parameters (SSSP) with the aim of understanding the processes that drive structural diversity in the development of a secondary forest community. Our results revealed that communities with different disturbance histories and species compositions differed in the level of species mixture. Large, small, and medium-sized trees were well mixed within the community, both conspecific and heterospecificindividual with varying densities. All plots exhibited a uniform size differentiation pattern. Trees with different dominance levels or mixture levels were randomly distributed within the plots, and only few of these displayed clumped or regular distribution. Pearson’s correlation analysis revealed that distribution patterns may be related to species composition and diameter differentiation, though their relationship was very weak. The results of this study are relevant to optimize forest management activities in the studied stands, and promote tree growth, regeneration and habitat diversity at the fine scale. Diversity and biovolume of tree species in natural forest ecosystem in the bitumen-producing area of Ondo State, Nigeria: a baseline study. Biodiversity and Conservation 17: 2735-2755. Preliminary studies on regeneration and final felling of Pinus yunnanensis Franchet (Guangxi Zhuang Autonomous Region Forestry Research Institute, Guangxi Baise forestry experimental station, Lingle sub-bureau attached to Guangxi forest industry bureau, Guangxi Lingle forestry farm eds). Scientia Silvae Sinicae 1: 44-54. Comparison of structure and biodiversity in the Rajhenav virgin forest remnant and managed forest in the Dinaric region of Slovenia. Global Ecology and Biogeography 9: 201-211. Fine-scale habitat structure complexity determines insectivorous bird diversity in a tropical forest. Acta Oecologica 61: 19-23. Allelopathic effects of Eucalyptus on native and introduced tree species. Forest Ecology and Management 323: 79-84. Restoring forest resilience: from reference spatial patterns to silvicultural prescriptions and monitoring. Forest Ecology and Management 291: 442-457. Effects of size, competition and altitude on tree growth. Journal of Ecology 95: 1084-1097. Distributional characteristics of Pinus L. in southeast Yunnan. Guihaia 13: 349-354. Natural disturbance and stand development principles for ecological forestry. General Technical Report NRS-19, Northern Research Station, USDA Forest Service, DE, USA, pp. 44. Spatial patterns and competition of tree species in a Douglas-fir chronosequence on Vancouver Island. Ecography 29: 671-682. The behaviour of the species mingling index Msp in relation to species dominance and dispersion. European Journal of Forest Research 123: 87-92. Quantitative analysis of forest spatial structure. China Science and Technology Press, Beijing, China, pp. 27-62. Principles of structure-based forest management. China Forestry Publishing House, Beijing, China. pp. 23-102. Three hundred years of spatio-temporal development in a primary mountain Norway spruce stand in the Bohemian Forest, central Europe. Forest Ecology and Management 330: 304-311. Tree spatial patterns of Abies alba and Fagus sylvatica in the Western Carpathians over 30 years. European Journal of Forest Research 133: 1015-1028. Structural development in ageing temperate Scots pine stands. Forest Ecology and Management 214: 237-250. Quantification of forest stand structure applied to Scots pine (Pinus sylvestris L.) forests. Investigación Agraria: Sistemas y Recursos Forestales, Fuera de serie 1: 147-163. Spatial methods for quantifying forest stand structure development: a comparison between nearest-neighbor indices and variogram analysis. Forest Science 49: 36-49. Integrating selected ecological effects of mixed European beech-Norway spruce stands in bioeconomic modeling. Ecological Modeling 210: 487-498. Episodic, patchy disturbances characterize an old-growth Picea abies dominated forest landscape in northeastern Europe. Forest Ecology and Management 320: 96-103. The distribution of Pinus yunanensis var. tenuifolia in relation to the environmental conditions. Acta Phytoecologica et Geobotanica Sinica 5: 28-37. Study on the quantitative analysis of the oak natural secondary forest in Baotianman nature reserve. Master thesis, Henan Agriculture University, Zhengzhou, Henan, China, pp. 52-66. Spatial structure of Syzygium hancei community along coastline of Guangxi. Chinese Journal of Ecology 35: 726-732. A review of the roles of forest canopy gaps. Journal of Forestry Research 25: 725-736. Analysing structural diversity in two temperate forests in northeastern China. Forest Ecology and Management 316: 139-147. Tree size distribution and abundance explain structural complexity differentially within stands of even-aged and uneven-aged structure types. European Journal of Forest Research 133: 335-346. Structural patterns of beech and silver fir suggest stability and resilience of the virgin forest Sinca in the Southern Carpathians, Romania. Forest Ecology and Management 356: 184-195. Edge-correction needs in estimating indices of spatial forest structure. Canadian Journal of Forest Research 36 (7): 1723-1739. Neighborhood effects and size asymmetric competition in a tree plantation varying in diversity. Ecology 90: 321-327. Probability and mathematical statistics. Higher Education Press, Beijing, China, pp. 30-120. Structure and development of old-growth, unmanaged second-growth, and extended rotation Pinus resinosa forests in Minnesota, USA. Forest Ecology and Management 291: 110-118. Forest structure: a key to the ecosystem. Northwest Science 72: 34-36. Structure and dynamics of an undisturbed old-growth Norway spruce forest on rising Bothnian coastline. Forest Ecology and Management 151: 67-79. Stand structure and dynamics during a 16-year period in a sub-boreal conifer-hardwood mixed forest, northern Japan. Forest Ecology and Management 174: 39-50. Ecological restoration and fine-scale forest structure regulation in southern ponderosa pine forests. Forest Ecology and Management 348: 57-67. Water status and drought stress in experimental gaps in manager and semi-natural silver fir-beech forests. European Journal of Forest Research 131: 1381-1397. The phytocoenological features of Pinus yunnanensis var. tenuifolia forest in Guangxi. Bulletin of Botanical Research 11: 91-103. Spatial distribution patterns in the very rare and species-rich Picea chihuahuana tree community (Mexico). PloS ONE 10: e0140442. The fertility characteristics of soil in the distribution area of Pinus yunnanensis var. tenuifolia in Yachang, Guangxi. Journal of Guangxi Agricultural College 7: 27-33. 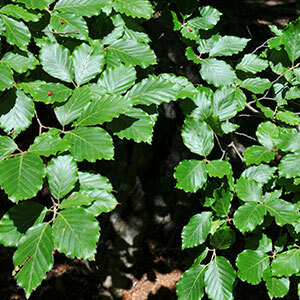 Spatial structure characteristics of Quercus aliena var. acuteserrata natural forest in Xiaolongshan. Scientia Silvae Sinicae 45: 1-6.